Niall Matter has become a Hallmark regular in recent years, and Sunday night on Hallmark Movies & Mysteries, he stars opposite Erin Krakow in Marrying Father Christmas, the third film in the Father Christmas trilogy. 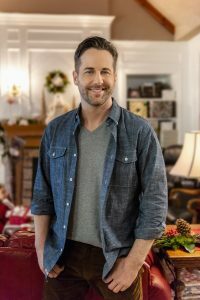 Earlier this week, I spoke to Matter about the films, becoming part of the Hallmark family, and his upcoming Lifetime Christmas movie, Christmas Pen Pals. Matter credits his friend and Eureka co-star Colin Ferguson and his short run on When Calls the Heart with guiding him toward and keeping him at Hallmark, where he’s now done seven movies across both networks. “Colin went over and did a few long before I did and said they were great people to work with and he really enjoyed himself. I was working a lot after Eureka and things would come up and I wasn’t available. 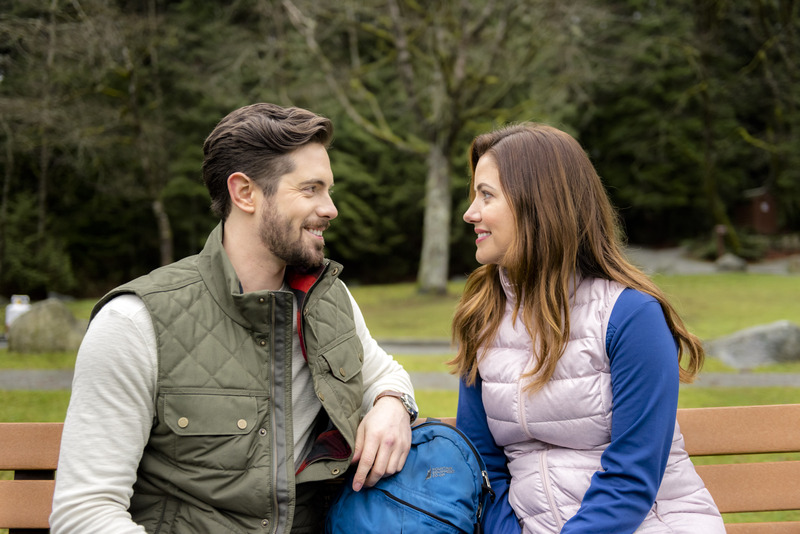 Stop the Wedding came about and I was able to make it work out and that was the beginning of my relationship and it’s been two and a half years,” he recalls. Matter never expected multiple Father Christmas films but is happy it worked out that way. Over the last three years, he’s developed a personal connection with not only his character, but the other characters and his fellow cast. “I personally only thought we were going to do the one, because the first movie has all of the books. I thought it would be one and done and luckily the fans really liked the characters,” he says. 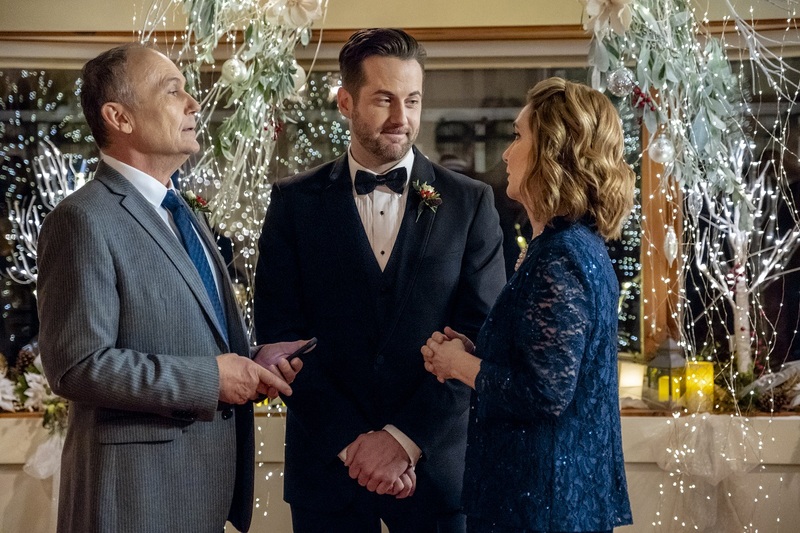 For a little added complexity, Matter was also balancing The Predator reshoots in Vancouver during production on Marrying Father Christmas last spring. “I was filming Marrying Father Christmas during the day and filming nights on Predator [and] staying awake for 24 and 36 hours and doing both movies,” he laughs. On December 15th, you can catch Matter over on Lifetime in Christmas Pen Pals, a romance with a secret identity twist. “Sarah Drew‘s [character] comes back to her hometown after being away after the loss of her mother. It’s a small community and every year they write to secret pen pals at Christmastime. She decides to become part of that with her dad to get him back out there,” he explains. 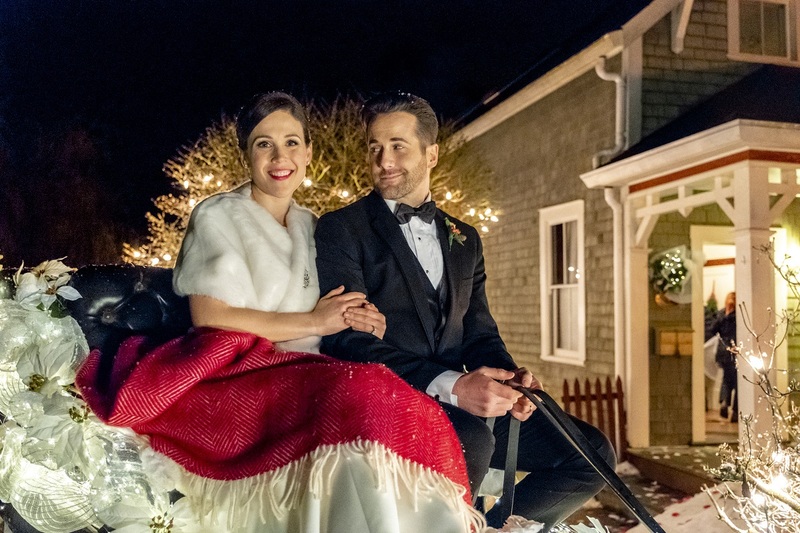 Marrying Father Christmas premieres Sunday night at 9 pm/8c on on Hallmark Movies & Mysteries after a 7 pm/6c repeat of Engaging Father Christmas. 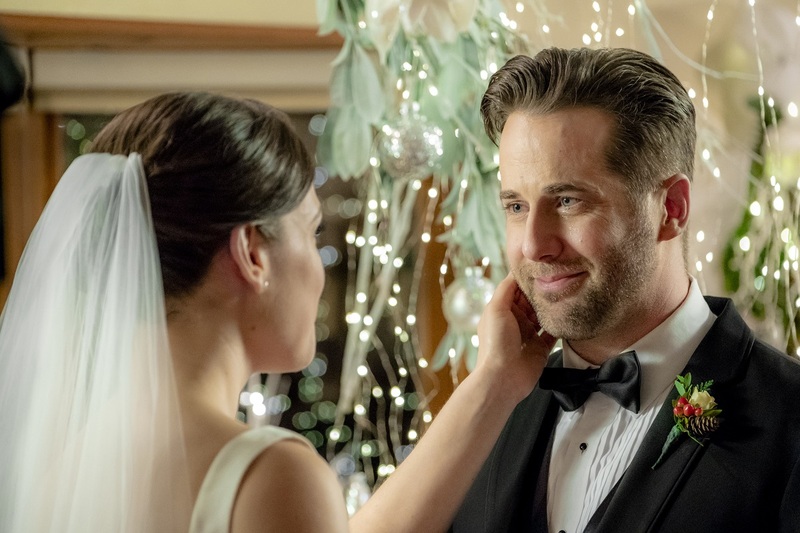 if you’re looking for Finding Father Christmas, it’s streaming on Hallmark Movies Now. 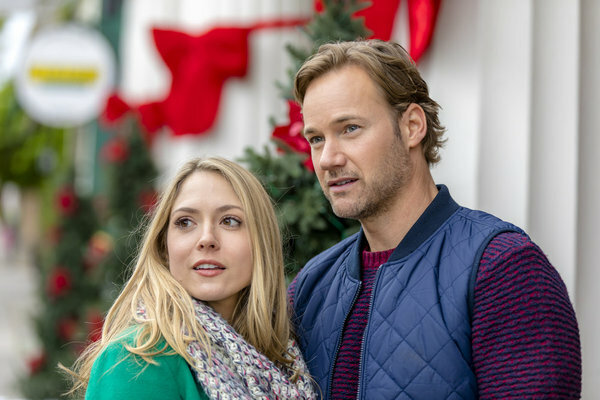 You can also catch Matter on UP TV this weekend when 2016’s Falling for Christmas repeats Saturday and Sunday. 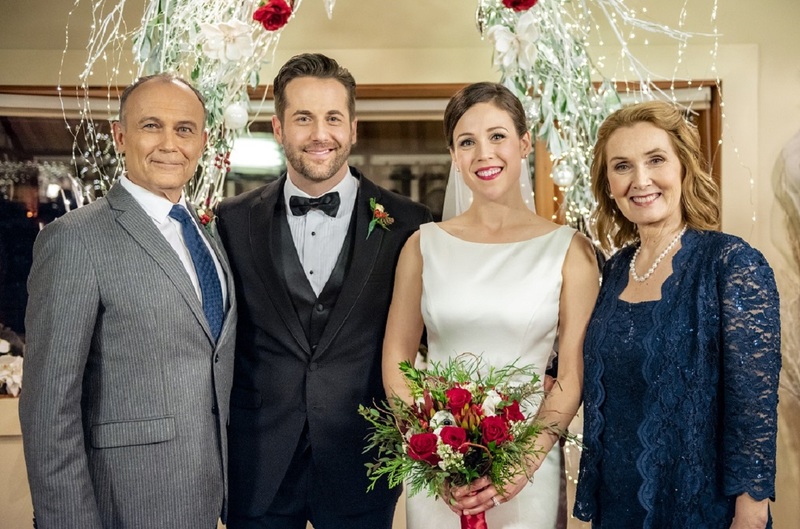 Here’s a sneak peek of Marrying Father Christmas.